Foot Companion Custom Sport Orthotic is fabricated from a mold of your feet to provide superior fit, support and comfort. Available with black brushed suede on 1/8 or 1/16 cushioning midlayer for comfort. 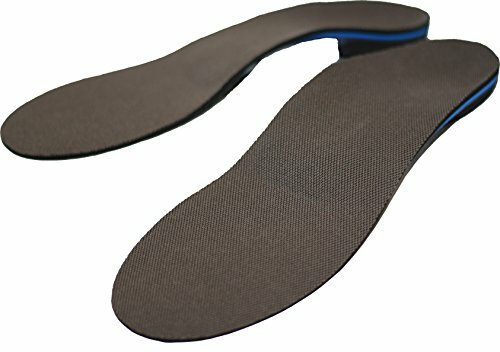 This sport orthotic also features a soborthylene shell for motion control and support in all your physical activities including running, walking, exercising or working out at the gym. Once your order is placed, we will send you a foam impression kit for you to take an impression of your feet and mail back to us. We will then fabricate your orthotics using a positive plaster mold of your feet. Your custom orthotics will be mailed to you within 2 business days from us receiving the foam kit from you. Please do not hesitate to contact us if you have any questions. If you have any questions about this product by Foot Companion, contact us by completing and submitting the form below. If you are looking for a specif part number, please include it with your message.